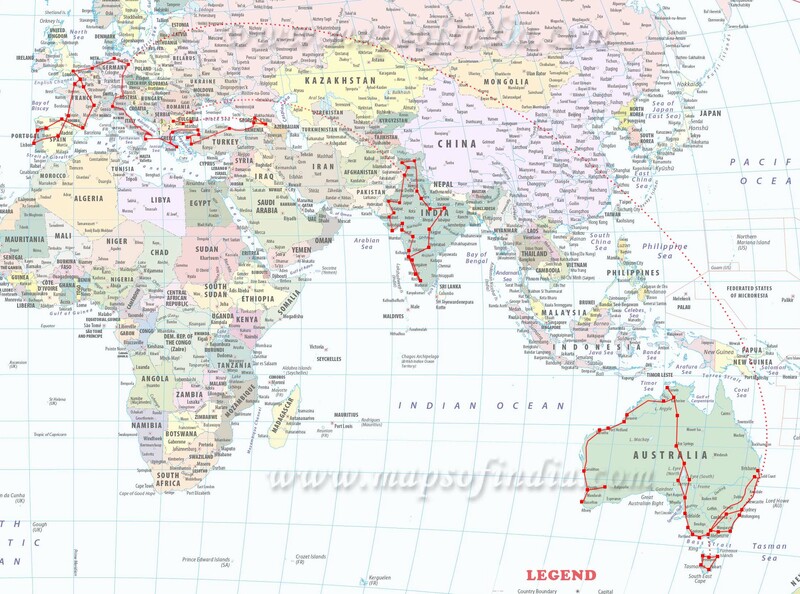 Down Under my Birthday is in Summer! My birthday has always been jinxed. Since it is in rainy miserable November, the parties were never as much fun as those of my other school mates who had food fights, plunge pools and lots of outdoorsy games in their sunny gardens. As I grew older, my birthday turned out to be at and awkward spot in everyone’s schedule. Halloween parties and early Christmas dos left few weekends for me and my many friends who also chose too be born at this inconvenient time, to celebrate our birthdays on. So if they happened at all, the parties were usually underwhelmingly low key because everyone was still recovering from the previous party. That’s not to say that my friends weren’t making every effort to fit it all into their busy schedules. They did in fact make me feel real special every year. It is just one of those things. And because it has been since childhood, I have become somewhat obsessed with it. This year it was all going to be different! November is summer here, so everyone would want an excuse to party. Aidan baked a scrumptious Guinness cake and cheffed up a super yummy meal. He’d also spent days running around first sourcing, then fetching and carefully hiding my prezzies in the cellar. Now he was frantically rushing around and when I came down the stairs, I was greeted by a veritable jungle of herbs and a pretty plant. He’d hastily planted them into pretty glass jars covering the cellar in potting soil in the process. Whoopie! Anyone who’s been following this blog knows that I love my greenery. I start creating a little jungle as soon as we leave the tent behind and settle in a house for a while. When we stayed at my dad’s recently, the balcony got taken over by herbs and flowers and my dad had to move several pots each time he wanted to have breakfast outside. After Aidan had finished slaving away and I was feeling royally special and stuffed to the brim with gourmet food and cake, we headed off to the pub. Of course I was missing my friends from home, but Aidan had invited the few people we had got to know over here. As the afternoon turned to evening the few vague maybes turned into no-shows. The jinx wasn’t broken after all. I was disappointed. Not because it was my birthday. It’s just another day. But it was an excuse to meet up with everyone. I hadn’t seen our old house mates in ages and was really looking forward to catching up. My birthday wasn’t over yet though. Aidan had a surprise in store for me the next day. He took me to the Rock ‘n’ Roll Market at Sydney University. We spent the afternoon leisurely bumbling between stalls of interestingly colourful retro stuff and wicked had-crafted oddities. It was Rockabilly heaven with the girls all pretty in dolly dresses and the guys sporting waxed quiffs to match. And if you hadn’t got dressed for the occasion, there was a stall where a bunch of girls would do your make-up and hair and you could slip into your newly-bought dress in one of the changing cabins dotted around the place. In the upstairs bar a DJ with a phone receiver for headphones had the crowd boogieing and when the band arrived the dace floor filled even more. People any age were reveling in the dance moves of bygone eras. It’s not quite our kind of music. But the happy fun was infectious and we spent a long while just people watching, huge grins on our faces. On the way out we found a bunch of awesomely restored old cars on show. For Aidan’s birthday we went to see Uncle Acid & the Deadbeats at the Oxford Art Gallery a couple of days before. It’s a wickedly decorated intimate venue where even short people like me get to stand relatively close to the ban and see some of the band sometimes. The gig was unexpectedly amazing! I liked the opening band, but you could tell that they needed a lot more stage practice. Uncle Acid & the Deadbeats were absolutely legendary! It was one of those concerts where you’re still talking about how awesome it was all the way home… and we were walking back, so that was for quite a while. Given that city people always have plans for every weekend and very little free time I had basically started inviting everyone for birthday drinks a month before. The strategy paid off and everyone met at the Norfolk that weekend for drinks and debauchery. Old housies from Petersham met the new ones from Annandale and Aidan’s best mate Ben made it too. We convinced the Annandale crew to skip public transport and walk home instead. The way leads through Sydney University and Leigh showed us around the buildings where she studies. It soon became evident that we were living with students. The shenanigans started with us climbing a back fence to race across the car park on an old office chair only to find that the gate was locked and we had to jump a rusty wire fence to get out. I still have the bruises and scars from that. Then, as students do, we scavenged a random rusty bird and a discarded pallet. The former would freak the cats out for days, as it refused to fly off when they charged at it. The latter was to become a bed base some day. Aidan’s office invited me to their fun little Christmas party. They did a secret Santa with a twist. All presents are put on a table in the middle and everyone draws a number. When it’s your turn you can choose to take any of the presents that have previously been unwrapped or you can open a new one. If you have taken a previous one off someone, that person gets to again take one from another person and so on. Suffice to say a frenzied battle over the best prezzies ensued with items changing hands back and forth across tables laden with gourmet Asian cuisine. Aidan ended up with a note book and I with an architect’s pencil. Hm…. Then I was rescued and one of the guys swapped his mini-BBQ for my pencil. Sweet! With 35 degree heat we really struggled to feel Christmassy at all. My dad made every effort to alleviate the problem by sending us two huge parcels with enough yummy German Christmas sweeties to feed the nation. And we exchanged a few prezzies too. 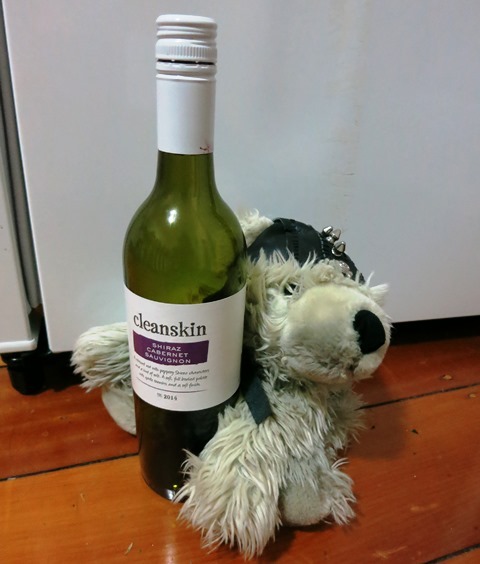 Of course Skunk immediately snatched his favourite, a bottle of nice red wine from Ben and Alex. And with that the new year had crept up on us. Time flies when you’re having fun! Happy new year every one! I hope lots of your dreams come true this year. Thanks heaps for all your support and for following our stories. I hope you keep enjoying them!